Frank de Varona is an educator, historian, journalist, and internationally known expert on politics, economics, foreign affairs, and national security issues. He has written 22 books, including five on President Barack Obama. At the age of 17, he participated in the Bay of Pigs invasion of Cuba. After the defeat, he was sentenced to 30 years in prison and served two years. After his liberation, he came to the United States and received three college degrees. He worked in the Miami-Dade County Public Schools for 37 years serving as social studies teacher; assistant principal; principal of three schools; region director; and region, associate, and deputy superintendent of schools. Frank de Varona was associate professor of social studies at Florida International University for seven years. He lives in Miami with his wife, Dr. Haydée Prado, a psychologist. He has a daughter, Irene, and a grandson, Danny. This book discusses the reasons why the House of Representatives needs to impeach Obama and why the Department of Justice needs to indict Hillary Clinton for their Middle Eastern gunrunning operation in Libya and Syria, the Benghazi cover-up, and other crimes. It explains the history and the infiltration of the Muslim Brotherhood in the government. The history of the Islamic State and the biography of its caliph al-Baghdadi and the details of all the jihadist attacks from the one in Paris to the one in San Bernardino are covered. The book points out Obama's no-win strategy to defeat ISIS and the ongoing Christian genocide. The Armenian genocide is covered as well. The author reveals the Saudi Arabia and Iran attacks of 9/11 and its cover-up. He exposes the increasing Islamization of America and why radical mosques must be shut down. The author presents the real Obama, who has been associated his entire life with Marxists, socialists, and radicals. 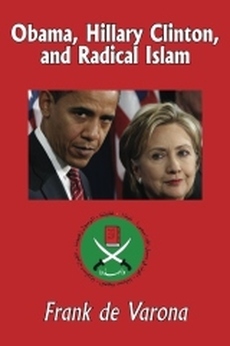 The author provides an account of Obama's connections with his racist and unpatriotic pastor, Jeremiah Wright, and his friendship with the terrorist Bill Ayers, members of the Brotherhood, and with many criminals, including Tony Rezco. The author makes known the multitude of scandals that have marked Obama's life before and after his election as president. He explains that Obama is the first Marxist and hidden radical Muslim elected to the White House in history. The author denounces the disastrous agreement with Iran and explains the criticism of others, including Israeli Prime Minister Benjamin Netanyahu. He covers the many scandals of the Clinton Foundation and Hillary Clinton's email scandal. ​The author writes about Obama's disdain towards the Judeo Christian values that make our nation great and his war against religion and Christianity. He discusses Malik Obama's jihadist ties. Lastly, the author offers specific recommendations to rescue the nation from tyranny and the road ahead for Republicans to keep the House and Senate and winning the White House in 2016. City of Miami Beach Mayor Philip Levine is walking with a FEMA administrator and with Obama administration officials. On April 13, 2016, the City of Miami Beach Commission met at 8:30 in the morning to consider a Resolution presented by Commissioner Michael Grieco and seconded by Commissioner John Elizabeth Alemán (who happens to be an attractive woman who is married to the son of a former minister of education in Cuba). This resolution urged President Obama to refrain from the establishment of a Cuban consulate in Miami-Dade County and specifically in Miami Beach. City of Miami Beach Mayor Philip Levine, who without the consent of the City Commission, met with Cuban diplomatic officials during the ill-advised Obama’s appeasement trip to Cuba. The mayor told them that he wanted to open a Cuban consulate in his city. Mayor Levine was accompanied to the Havana meeting by Commissioner Ricky Arriola. Commissioner Ricky Arriola is the son of the multimillionaire Joe Arriola, who was one of the 17 Cuban Americans and other Hispanics who sent the infamous letter on May 19, 2014 to President Barack Obama requesting an end to the embargo and restoring diplomatic recognition to the bloody Castro regime. The letter was also signed by 15 very powerful members of the globalist elite who are members of the Council of Foreign Relations, the Bilderberg Group, and the Trilateral Commission, among them David Rockefeller. Approximately 200 people showed up, some of them with posters who were fiercely opposed to a Cuban consulate in the beach. 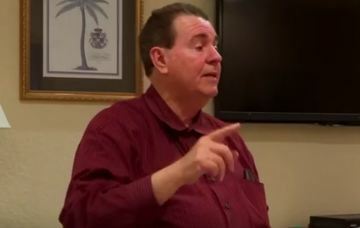 Mayor Philip Levine decreed that he would allow only 30 minutes of discussion, 15 minutes to the very small group in favor and 15 minutes to the overwhelming majority of the group who opposed the consulate. Many people complained loudly yelling “More time” and many others booed the mayor’s arbitrary ruling. But the mayor ignored their pleads. After much discussion among the mayor and the members of the City of Miami Beach Commission, the Resolution by presented by Commissioner Michael Grieco was tabled. Instead, by a vote of 4 to 3 the recommendation made by the Hispanic Affairs Commission of the City of Miami Beach which had much of the same language as the Resolution was approved. Anti-communists leaders in Miami from the Junta Patriótica Cubana, veterans from the Brigade 2506, Directorio, MAR por Cuba, MRR, and other organizations showed up to oppose the Cuban consulate. Elected officials in the City of Miami and Miami-Dade County have previously formally opposed the idea of opening a Cuban Consulate within their borders. With the passage of the recommendation made by the Hispanic Affairs Commission, the city of Miami Beach now also officially opposes the idea of a Cuban consulate unless serious human rights reforms are made in Cuba. Commissioners Kristen Rosen Gonzalez, Micky Ross Steinberg, Michael Grieco and John Elizabeth Alemán voted in favor of the resolution. Commissioner Michael Grieco and Commissioner John Alemán and the more than 90% of those present were very pleased. To his discredit, Mayor Philip Levine, Commissioner Ricky Arriola, and other one voted against banning a Cuban consulate in the city. These three Democrats support Obama’s Cuban policy. Mayor Levine, who banned travel to Mississippi and North Carolina, has remained resolute in his personal support for a consulate in Miami Beach. He wants to increase travel to Cuba to detriment of the local economy while rejecting travel in two states! In his mind these two states commit more human rights violations than Cuba! Earlier in this week, Mayor Levine told The Miami Herald the following: “The only reason this has happened is because you have a commissioner (Michael Grieco) who is trying to use this as a political ploy because he would like to run for mayor, prematurely. And he believes he can get the Cuban vote by appealing to their deepest level of fear and insecurity. Which is cruel. Especially when he’s not Cuban.” Mr. Mayor Cuban Americans are neither fearful nor insecure since many who came to the City Commission chambers fought bravely the tyranny in Cuba and served many years in jail as a result. The one that showed fear and insecurity was you Mr. Mayor was you and your friend Ricky Arriola who kept apologizing to the angry crowd. Commissioner Michael Grieco defended himself very eloquently to the vigorous applause of the audience from the unfair and inappropriate remarks to the Miami Herald from Mayor Levine. Approximately 18,000 Cuban Americans live on Miami Beach which is about 20% of total population. Antonio de Esquivel, president of the Junta Patriótica Cubana; Sylvia Iriondo, head of MAR por Cuba; Nelly Rojas, a former political prisoner; and this writer, representing the Junta Patriótica Cubana and Bear Witness Central; were one of the few who were able to speak against the consulate. After the vote, this writer was interviewed by NTN 24 from Bogotá, Colombia, which is seen in Latin America and the United States, and Telemundo television stations. Due to the time limits, this writer mentioned only a part of his position paper which he distributed to the City Manager Jimmy Morales, the mayor, and commissioners. 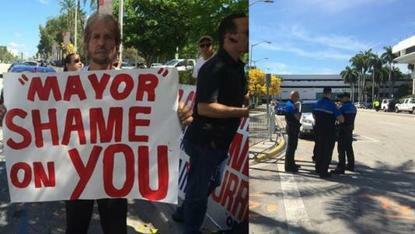 “My name is Frank de Varona and I am a former resident of the city of Miami Beach. I am a retired teacher and administrator from the Miami-Dade County Public Schools. During my 37 years, I served as a teacher, assistant principal, principal of three schools, region superintendent, associate superintendent of instruction, and interim deputy superintendent of schools. I am also a retired associate professor of social studies of the College of Education at Florida International University. Currently, I am a full-time writer and journalist who has published 22 books and hundreds of articles in newspapers, magazines, and many websites. I am a columnist for the Spanish newspaper, La Voz de Miami Beach, which is distributed in this city and other parts of Miami-Dade County free of charge. At the age of 17 I invaded Cuba at the Bay of Pigs on April 17, 1961 together with my brother, several cousins, one of whom was the pilot of a B-26 who was shot down and died at the age of 19. The surviving 1,200 prisoners of war of the Assault Brigade 2506 were sentenced to 30 years of hard labor. We were tortured, denied medicines, soap, and toilet paper and had limited water. We slept on the floor and were starved to death for two years of horrible incarceration. I lost 60 pounds, contracted hepatitis, dysentery and all types of skin diseases due to the lack of hygiene. Thanks to President John F. Kennedy who paid a large ransom we were released. I am here today as a member of the Junta Patriótica Cubana and Bear Witness Central to support the Resolution urging the city and the Obama administration to refrain from establishing a Cuban consulate in the city of Miami Beach or anywhere else in Miami-Dade County. The opening of a Cuban consulate in the beautiful city of Miami Beach, which will help financially Castro’s brutal dictatorship, is neither necessary nor in the best interest of this city, Miami-Dade County, or the state of Florida. Such a concession to the Cuban regime is also counterproductive and damaging to our national security interests. Additionally, you will be legitimizing the Castro regime and enriching it in the process. The oppressive dictatorship had been dreaming about opening a consulate in South Florida for many years. Encouraging our citizens to do business and travel to Cuba as tourists to have a good time, sipping their mojitos on the beach in regime-controlled hotels and nightclubs, exploring the nightlife, and spending lots tourist dollars that will go into the coffers of the regime, will give the Castros and their generals the oxygen they need to keep on going enslaving the suffering people of the island. The consulate will also damage the local economy if those tourists spend their money in Cuba instead of Miami Beach or other parts of South Florida. The bloody regime only wants money from tens of thousands of American tourists and U.S. investments to perpetuate itself in power. Some U.S. corporations want to establish factories and use the labor of Cuban workers, who make an average of $20 a month, to increase their profits and make Cuba the China of the Caribbean. By encouraging the federal government to open a Cuban consulate you will be helping a dictatorship that has been in power for more than 57 years, the longest and most brutal in the Western Hemisphere. A tyrannical regime that has been a fierce enemy of our beloved nation and that has sent tons of drugs to poison our citizens with the help of Latin American drug cartels. A regime that has sent its intelligence officials to steal and commit fraud in the tens of millions in Medicare, Medicaid, and by using credit cards to steal from businesses. This regime has an aging leader, Fidel Castro, who recommended Soviet Premier Nikita Khrushchev to conduct a surprise and devastating nuclear attack against our nation during the October Missile Crises of 1962. This regime has a leader, Fidel Castro, who together with his brother, Raúl Castro, was involved in the assassination of President John F. Kennedy in November 1963. Fidel Castro and his ally Soviet Premier Nikita Khrushchev showed their friendship in this poster. You will be helping the totalitarian communist regime in Cuba which not only placed double agents in the CIA but also successfully penetrated the Defense and State Departments. Cuba has 119 embassies and 21 consulates general in the world. 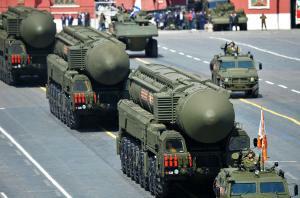 All of them are controlled by the General Directorate of Intelligence which is the KGB of Cuba. All Cuban diplomatic posts serve the intelligence function. A Cuban consulate in Miami Beach will be staffed with many spies. Each intelligence officer recruits or handles dozens local contacts. A Cuban consulate in South Florida would operate as an espionage center used to target anti-Communist Cubans, U.S. military facilities in South Florida, and other targets of interest to the Cuban regime. The first duty of the mayor and the city commissioners of Miami Beach is to protect its citizens as well of those in Miami-Dade County and others who may come into this area. As the Resolution that I am supporting indicated, the presence of the Cuban consulate in the city could inflame passions and possibly create security risks by recurring protests and possible violence. Gustavo Machín Gómez, who was expelled from Washington for spying. Gustavo Machín Gómez was expelled from Washington for spying. Dictator Raúl Castro send this criminal who was booted out of the United States to greet Obama when he landed on Air Force One in Havana while in a deliberate insult Castro nor his vice president showed up as it is customary on a visit by a head of state to any nation. It was shameful for city of Miami Beach Mayor Philip Levine and Commissioner Ricky Arriola to hold a meeting with officials from Cuba’s Ministry of Foreign Affairs during President Obama’s visit to Cuba to discuss the establishment of a Cuban consulate in the city that elected them with many Cuban American votes. Almost all officials of this ministry work as spies for the General Directorate of Intelligence. Among the Cubans at the meeting was Gustavo Machín Gómez, a Cuban diplomat who was stationed in Washington for about five years and was deported from the United States for spying in 2002. The thug Machín would come out of the Cuban Interest Office in Washington to beat up peaceful protestors, as is done all the time in communist Cuba. Machín is the son of a Cuban revolutionary who died in Che Guevara’s campaign in Bolivia in 1967. Oswaldo Payá Sardiñas, a peaceful opponent was assassinated by the Cuban regime in 2012. Chris S. Simmons, who worked 23-years as a U.S. Counterintelligence officer provided the background Gustavo Machín Gómez, who is the Cuban Foreign Ministry’s, deputy director of North American affairs. According to Simmons, Machín was involved in the operation to “spin” the death of Oswaldo Payá Sardiñas in 2012. Oswaldo Payá Sardiñas and Harold Cepero were killed in an incident in which state security agents hit their car in a second vehicle, on July 22, 2012. These are the kind of criminal individuals we will have in our community if a Cuban consulate is opened in South Florida. You will be helping a regime that has worked and continues to work with all the enemies of the United States, among them Iran, North Korea, Syria, Venezuela, Russia, and China as well as many terror organizations. The Cuban regime has signed treaties with both Russia and China to establish military and naval bases in the island-prison. You will be helping a regime that, after President Obama took Cuba off the list of state sponsors of human trafficking, continues to be one the world’s worst violator of human trafficking. The regime has approximately 65,000 doctors, nurses, sport trainers, entertainers, sailors, scientists, architects, engineers, and many other professionals and technicians, who are sold to 91 countries. These individuals are paid by Cuba a very small salary while their services abroad bring the regime $8.2 billion a year. They are treated by the Castro brothers as slaves! You will be helping a regime that, after President Obama took Cuba off the list of state sponsors of terror, has permitted the opening of an operational Hezbollah base on the island-prison. Hezbollah, the Iranian militia in Lebanon, has gone to war against our ally Israel and is responsible for many deaths of citizens of that nation as well as many others in Syria. The Castro regime transported Cuban Migs aircraft and tons of weapons through the Panama Canal on their way to North Korea and another suspicious shipment to Colombia and, most likely its communist FARC guerrillas. The head and other top leaders of the FARC have been in Havana for more than three years negotiating a truce with the Colombian government that is rejected by over 90% of the Colombian people. You will send a message to the oppressed Cuban people that you stand with their oppressors. You will send a message to the Western Hemisphere and the rest of the world, that the city of Miami Beach does not care since it would be helping a regime that has assassinated over 17,000 children, women, and men; imprisoned over 300,000; and forced over two million to leave the country of their birth with an estimate of 80,000 drowning or being devoured by sharks when trying to escape the island-prison. You will sent a message to tens of thousands of Cuban Americans residing in your city and Miami-Dade County that you do not care about many of them who were incarcerated, lost their friends and relatives by being shot on the wall, suffered by seeing all their properties confiscated, and watched the country of their birth being turned into a large ranch of the Castro brothers where everyone else in the island-prison is a slave. It is an enormous disrespect and a slap in the face to the memory of the Brothers to the Rescue pilots, three U.S. citizens and one U.S. resident, who were murdered by the Castro regime. And to the tens of thousands of Cubans who have fled the Castro’s oppression and now live in the city of Miami Beach and in other cities of South Florida. Miami-Dade County has the largest Cuban-American population in the United States and the vast majority reject with anger and dismay a communist consulate near where they live. To propose such a consulate in this area shows enormous insensitivity to the hard-working anti-communist Cuban American community and their representatives in the House and the Senate. The three Cuban-origin Senators and all representatives from both political parties are completely opposed to Obama’s policy with Cuba. In spite of all the unilateral concessions by the Obama administration to the Cuban regime with no “Quid Pro Quo” or nothing in return, there has been no progress in regards to human and civil rights on the Castro brothers’ island-prison. Miami Beach does not need to join the Obama administration in providing the regime with unilateral concession after concession. The fact that the totalitarian police state will direct much of the financial windfall from the tourist dollars to the persecution of their opponents seems to be of little concern to some of the elected officials of Miami Beach. I trust that the majority of the commissioners are fiercely opposed to helping and rewarding the Cuban regime by establishing a consulate in this beautiful city. We need to stand with the suffering Cuban people and the opponents of the tyrannical regime who want democracy and we should not help their oppressors financially. This would be not only immoral but a travesty of justice and an insult to Cubans on both sides of the Straits of Florida who want to enjoy the same freedom and liberty of the citizens of United States of America! Armando Sosa Fortuny has been in prison almost 40 years. Until Cuba reforms its oppressive economic and political system, reigning in a brutal police state that orchestrated over 8,600 political arrests in 2015, freeing all political prisoners (including Armando Sosa Fortuny who in October will be 40 years in prison), resolving the billions of dollars in outstanding property claims and court judgments against the regime, returning the many assassins and other fugitives from U.S. justice, respecting all human and civil rights, including freedom of speech, press, assembly, holding free and fair elections, the Mayor and the City Commission need request the Obama administration to refrain from opening a Cuban consulate. General Luis Alberto Rodríguez López-Callejas. No one can establish a factory or invest in a business without the approval of this general and without sharing its profits with the regime. The first duty of the mayor and the city commissioners of Miami Beach is to protect its citizens as well as those in Miami-Dade County and others that may come into the area. As the Resolution that I am supporting indicated, the presence of the Cuban consulate in the city could inflame passions and create serious security risks due to possible protests and even violence. It is totally unacceptable to reward a dictatorial regime with a consulate in the city when human rights abuses endure and democracy continues to be shunned. The Cuban regime represses its people’s freedoms and blatantly violates human rights just 90 miles from our shore. The tyrannical Cuban regime continuous to brutally repress its people with beatings, arbitrary arrests, torture, prolonged incarceration and murder of its peaceful opponents. Sadly, since these sweeping changes started in December 2014 by the president, Cubans have been beaten, arrested, and repressed at higher rates than ever before. Credit must be given to all the Cuban patriots who mobilized rapidly to stop the betrayal of City of Miami Beach Mayor Philip Levine and Commissioner Ricky Arriola, who without the consent of the City Commission or the citizens that both of them represent, met with Cuban diplomatic officials at the Ministry of Foreign Relations in Havana during the Obama’s trip to Cuba and told them that they wanted to open a Cuban consulate in Miami Beach. Antonio de Esquivel, president of the Junta Patriótica Cubana, held a series of meetings to bring many patriots from the organization to prevent the opening of the consulate. He spoke very eloquently to enumerate the reasons why there is no need for a consulate from an oppressive regime in our community.